Brenda Barrio is an Assistant Professor of Special Education at Washington State University. 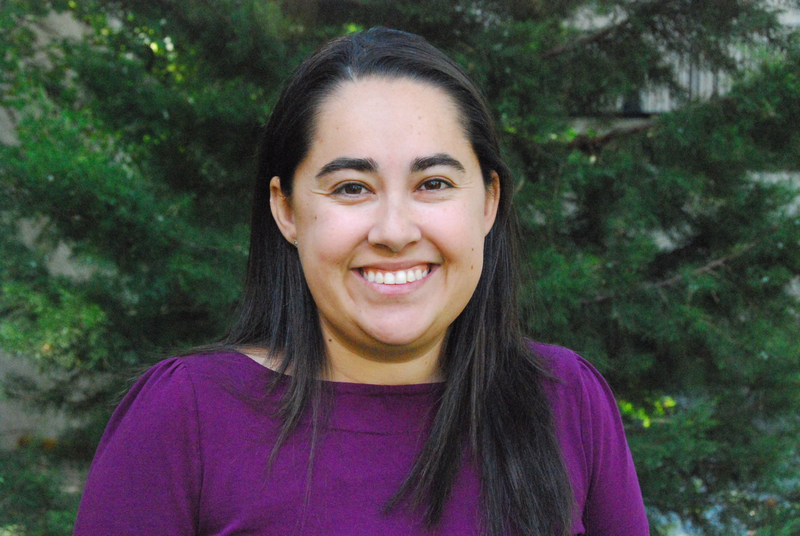 Her research focuses in the areas of disproportionality of culturally and linguistically diverse students in special education, culturally responsive teaching in the response to intervention framework, bilingual and multicultural special education, assistive technology, and pre- and in-service teacher preparation. She is also the interim director of the WSU ROAR program, the faculty advisor for the Alhadeff Future Teachers of Color program, and an affiliate of the Innovation and Research in Special Education Collaborative (IRSEC), and most recently a Berry Family Fellow. Dr. Barrio’s professional teaching focus is in special education and general education. Specifically, she has taught graduate and undergraduate special education courses in inclusion, strategies for exceptional learners, diversity in special education, assessment, introduction to special education, policy and historical background in special education, assistive technology, and research in special education. In addition, she taught K-5th grades as a bilingual special education inclusion teacher. She also chairs the Council for Learning Disabilities Diversity Committee and is a Member-at-Large for the Council for Exceptional Children’s Division of International Special Education. Hovey, K.A., Barrio, B.L., Peak, P.K., Peterson-Ahmad, M.B., & Darrah, T. (2016). To accommodate or not accommodate: A case study. LD Forum. Adesope, O., Barrio, B.L., Frost, J.H., Girardeau. L.E., Matthew, S., & Roth McDuffie, A., (2016). Multi-Disciplinary Research to Advance Opportunity and Equity in Health Science Education: College of Education and Health Sciences Colleges. Proposal submitted to Washington State University, Grand Challenges Reallocation Funding Program. Funding Requested: $2,975,413. Funding Awarded (in conjunction with the College of Arts and Sciences Research Project): $600,000. Barrio, B.L., (2015). Washington State University College of Education Faculty Funding Award. Reaching Out to Paraprofessionals: Engaging Professional Development in Rural Communities.Funded, $5,000. Hollingshead, A., & Barrio, B.L. (2015). University of Idaho College of Education Faculty Funding Award. Reaching Out to Paraprofessionals: Engaging Professional Development in Rural Communities. Funded, $5,000. Barrio, B.L., & Peak, P. (2017, October). Pre-service Teachers’ Beliefs About Culturally Responsive RtI: A Multi-university Comparison. Roundtable presentation at the Council for Learning Disabilities Conference in Baltimore, MD. Hsiao, Y., Agrawal, J., Kressler, B.; Barrio, B. & Shankland, R. (2017, October). A Global Perspective of Learning Disabilities: Recommendations for Practitioners. Roundtable presentation at the Council for Learning Disabilities Conference in Baltimore, MD. Barrio, B.L., & Scheef, A. (2017, April). Exploring Pre-Service Teachers’ Concerns about the Implementation of RTI During Their Practicum Experience. Paper presentation at the Annual Conference of the American Educational Research Association. Barrio, B.L., Kelley, J., & Cardon, T. (2017, April). Pre-service teachers’ understanding and perceptions of autism spectrum disorder (ASD) before and after reading ASD narrative fiction. Paper presentation at the Annual Conference of the American Educational Research Association. Barrio, B.L., Moua, M., & Petrie, K. (2017, April). Addressing disproportionality by understanding pre-service teachers’ beliefs about cultural responsive practices in an RTI Model: A mixed-methods study. Paper presentation at the Council for Exceptional Children Annual Convention. Hollingshead, A., & Barrio, B.L. (2017, April). Reaching Out: Engaging Paraprofessionals in Rural Communities. Paper presentation at the Council for Exceptional Children Annual Convention.